I found this gem a few weeks ago while I was in Manhattan for the New York Auto Show and took a photo because its an awesome old station wagon parked on West Side Drive. I’ve been trying to think of something else to say about it, something more significant, but that’s pretty much it. 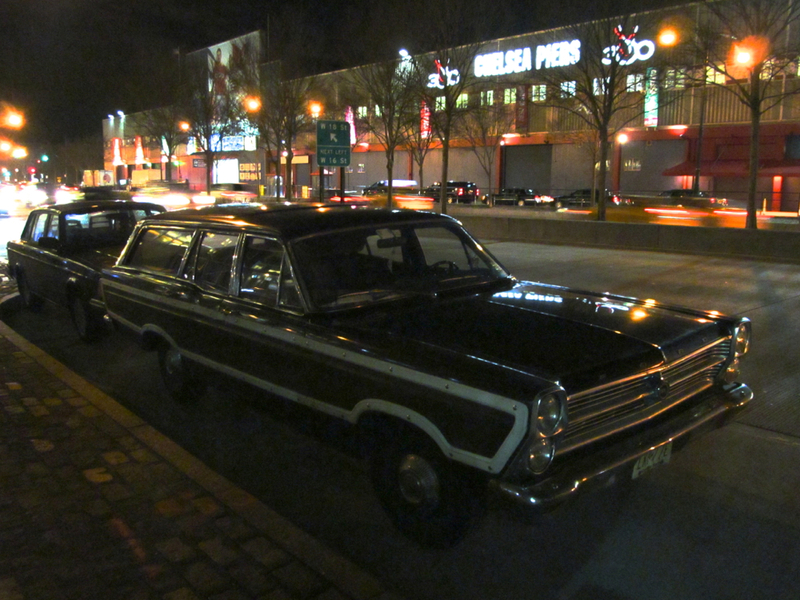 The wagon in question is a Ford Fairlane Squire, the wagon version of Ford’s mid-sixties midsize sedan. It was built in either 1966 or 1967, the only two years this body style was made. I’m not sure which engines were available on the Squire, but I bet this one is having a bit more trouble keeping up with New York traffic than it did when it was new. Yet it looks just fine parked where it is; like the cool kid leaning against a building with one heel on the bricks. This is why I like walking around cities. You never know what you’ll find.